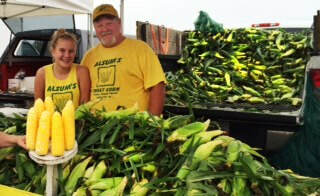 Thanks for visiting the Alsum Sweet Corn Website! Our family farm is located in Randolph, Wisconsin where all the “growing” begins for many different varieties of sweet corn. We operate a vegetable farm that features Wisconsin’s delicious produce located at different stands around the area. Check out our Stand Locations to find out where we are selling fresh local produce, before its too LATE. 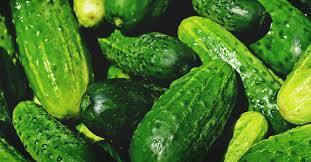 We offer many delicious fresh fruits and vegetables in season. We also offer freshly frozen produce as well. 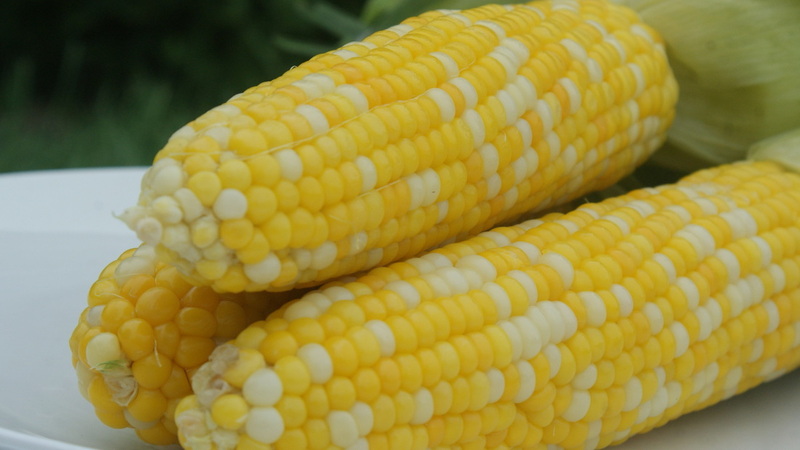 Check our Frozen Produce to see where you can purchase Frozen Alsum Sweet Corn. Big orders may be placed ahead of time to insure availability. Visit us at the Madison Market each Saturday from April thru November 2017. In mid-July thru September we are also at Wednesday Madison Market on Martin Luther King Blvd. We love visiting with you and your family!! Stop by and say "Hi". LAST DAY FOR FRESH PRODUCE AT ALL STANDS IS SEPT 1st. Refreshing, juicy cantaloupe and sweet watermelon are ready for your table! Just stop by our stands and enjoy a great summertime treat! Before it's too late!! 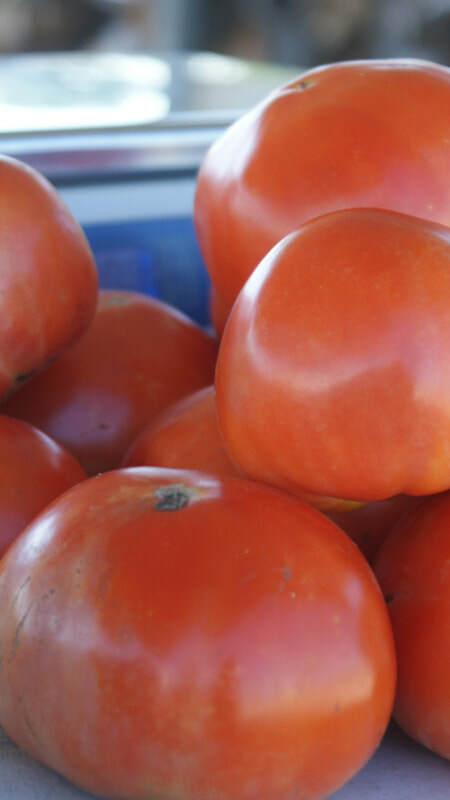 ​flavorful tomatoes!! Perfect for sandwiches, salads, or just eating!! 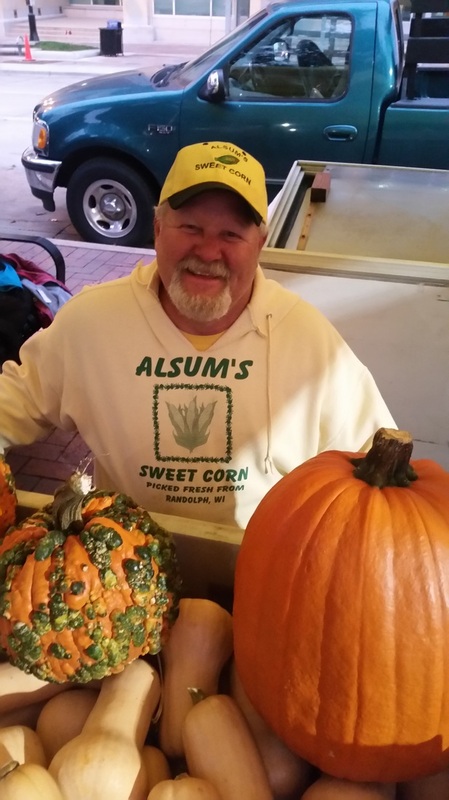 Alsum "Frozen" Sweet Corn is available at these Wisconsin grocery stores. We are excited to announce the listings of our Madison and Milwaukee areas. Our corn is found in the freezer area by the frozen vegetables. Be sure to look for this "sweet" package in the freezer section of your favorite store. ​Every Saturday, we will be at these markets with plenty of delicious samples of Wisconsin grown sweet corn to try and many different kinds of local frozen corn to purchase. Stop by and visit with him and try some summertime tastes of our wonderful sweet corn. Look for us Saturdays! If you are looking for more fun things to do on Saturdays, plan a visit to the Indoor Farmer's Market at The Domes in Milwaukee. It begins first week in November and goes thru end of March. The time is 9:00 a.m. til 1 p.m.
We are also at the Madison indoor market at Menona Terrace during November and December. Monona Terrace is 7:30 a.m. til noon on Saturdays. 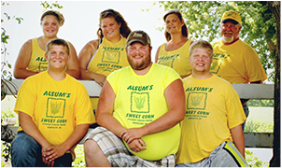 The Alsum Sweet Corn story simply begins in an old-fashion way. In 1912, our newlywed grandparents purchased this farm, which at that time was a dairy farm. After milking cows for over half a century, Harvey and Elizabeth Alsum, sold the farm to their son, Ken and his wife, Myrna. They carried on the tradition of the dairy farm as they raised their three sons. However, life on a dairy farm is very interesting as well as surprising, and in the summer of 1976, Ken got a new idea. He had heard of the newly developed farmers market in Madison, WI and decided to plant some sweet corn to sell there. The Dane County Farmers Market had just begun and no one could foresee the tremendous growth and popularity that would occur in the future, but for our family, it was the fun and excitement of meeting new people and bringing fresh food to them that was appealing and fascinating. Scott, the oldest son, also began delivering sweet corn to stores in the West Bend area. Later, stands were added and the summertime fun kept growing and growing. Today, Scott and his wife, Lona live and work on the farm with their five children: Ben, Brittany, Luke , Levi, and Lily. 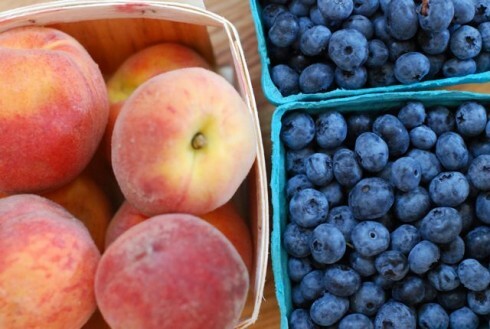 If you have been to the Farmers Market in Madison on Saturdays, you will definitely meet them. Raising fresh produce and meeting great people are just some of the many benefits that we enjoy while working on our vegetable farm in Randolph.